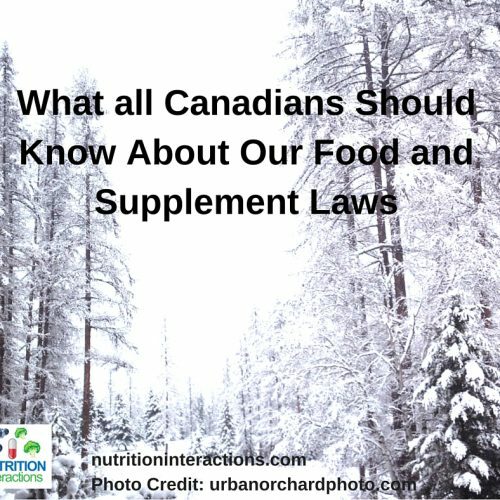 Now let’s dive into what I wish Canadians knew about our food and supplement laws! There is A LOT of information in the media and on the internet about US regulations (laws). I don’t think there is enough information about the Canadian regulations. I mean, we get a lot of media programming from the US; not to mention the sheer volume of US health experts, bloggers, and documentaries. And we certainly share many similarities with our neighbours to the south. But some things are very different in Canada. Especially regarding the Canadian Food and Supplement Laws. Before I begin, know that I’m NOT a lawyer, nor am I an expert in everything to do with food or supplement regulations. Having said that, I stick to topics that I know. And I do know quite a bit about the Canadian food and supplement laws. I also do quite a bit of research before posting anything. Please feel free to check the references I link to in any of my posts. I like to stick with credible resources, and if you have one that disagrees with anything I write, please post a comment – I’d love to learn more! So, for this post about Canadian food and supplement laws, most of my references will be to the actual regulations, or the government ministry in charge of that regulation. I am NOT saying that the Canadian regulations are superior to any other country’s regulations. I am NOT saying that Canadian regulations are the best they can be. I am NOT saying these laws are being applied and enforced as best as they could. I am NOT saying that all companies uphold both the letter and the principle of all of the laws. These Canadian regulations outline the requirements for foods and supplements sold in Canada. In fact, not just foods and supplements, but all products imported into Canada must have a person or company in Canada who is responsible for that product. Their Canadian contact information (company name and postal code, at least) must be listed on the product label so any consumers, or the government, can contact them in case of a complaint or concern. For your entertainment (i.e. when you can’t sleep at night and need something oh so fascinating to read), I’ve attached a link to the Food and Drugs Act. (3) This Act is the “umbrella” that overarchingly applies to the regulations (laws) for foods, drugs (and supplements), cosmetics and medical devices (see Part 1 of the Act). The next level of legislation under the Act are the Regulations (laws) themselves. Under these regulations the government has its ministries and agencies such as Health Canada(6), Natural and Non-Prescription Health Products Directorate(7), Agriculture and Agri-Food Canada(8), and the Canadian Food Inspection Agency(9), just to name a few. These are the bodies responsible for upholding the regulations. Acts and Regulations are considered legislation, or law. There are also many details within the legislation that can be interpreted in more than one way. In those cases the government often creates documents called “Guidance Documents”. For Foods see (10) and for Natural Health Products see (11). And of course, there are also the industry trade associations. Many times industry, while they often compete with each other in the marketplace, like to band together on common issues. To do so they create their own industry associations. Some examples are Food & Consumer Products of Canada(12), Consumer Health Products Canada(13), the Canadian Health Food Association(14), and the Canada Organic Trade Association(15). Industry trade associations each have their own agendas (rightly or wrongly) to promote, grow, and defend their industry. There are many Acts and Regulations that apply to food produced for Canadians(16). Let’s start with Organic labelling. Canada has Organic Products Regulations(17). These regulations refer to the Canadian principles and standards for organic products(18). 1.Protect the environment, minimize soil degradation and erosion, decrease pollution, optimize biological productivity and support a sound state of health. 2.Maintain long-term soil fertility by optimizing conditions for biological activity within the soil. 3.Maintain biological diversity within the system. 4.Recycle materials and resources to the greatest extent possible within the enterprise. 5.Provide attentive care that promotes the health and meets the behavioral needs of livestock. 6.Prepare organic products, emphasizing careful processing, and handling methods in order to maintain the organic integrity and vital qualities of the products at all stages of production. 7.Rely on renewable resources in locally organized agricultural systems. When all of the requirements are met, and a product has passed the certification process, this is the label you should see on your product(19). Only products with organic content that is greater than or equal to 95% may be labelled or advertised as “organic” or bear the organic logo. Terms such as “organically grown”, “organically raised, “organically produced”, or similar words, abbreviations of, symbols for and phonetic renderings of these words are considered the same as “organic” claims and must meet the same requirements. [24 (1), OPR]. For multi-ingredient products, the organic contents must be identified as organic in the list of ingredients [25(b), OPR]. The label of an organic product subject to the Organic Products Regulations must bear the name of the certification body that has certified the product as organic [25(a), OPR]. “100% Organic (product name)” – NOT allowed because products with 95% organic content are simply “organic”. “Made with Organic Ingredients” – NOT allowed because it is not clear how much of the product has been made with organic ingredients. Products with 70-95% organic content must declare the percentage of organic content on their label. Products with less than 70% organic content may only indicate which ingredients are organic in the ingredients list. not to have any constituent or fraction thereof removed or significantly changed, except the removal of water. For example: the removal of caffeine. not to have been submitted to processes that have significantly altered their original physical, chemical or biological state (i.e. maximum processes). See Annex 1 – Minimum Processes and Annex 2 – Maximum Processes, Processes Affecting the Natural Character of Foods. Under the Food and Drugs Act, anyone who sells food in Canada is responsible for making sure it is safe to eat. The Canadian Food Inspection Agency (CFIA) enforces federal food safety regulations for both domestic and imported food. Even in a modern, effective food safety system such as Canada’s, risks cannot be completely eliminated when unsafe food enters the marketplace. The CFIA works with the company to ensure that the public is informed and that the recall was effective at removing products from the market. Consumers can help protect themselves and their families by following safe food handling practices at home and staying informed about food recalls and allergy alerts. Basically, these regulations require supplements to meet minimum standards similar (not exactly, but similar) to that of drugs. First off, the manufacturer/distributor now needs to be officially “licensed” with the government (“site licence”)(26), and so do the individual products (“product licence”)(27). One major change since the implementation of the NHP Regulations is that the products have to be manufactured according to drug Good Manufacturing Processes (GMPs)(28) (except the validation requirements are a bit lower for NHPs). Given the definition of a traditional medicine, traditional use claims should reflect the sum total of knowledge, skills, and practices based on theories, beliefs, and experiences indigenous to a specific culture, used in the maintenance of health, as well as prevention, diagnosis, improvement, or treatment of physical and mental illness. For a claim to be categorized as “traditional use,” it should be founded upon the theories, experiences and beliefs embodying the respective ancient practice of medicine. So know that these “traditional use” claims do not need scientific evidence to be approved as a licenced Natural Health Product in Canada. There is A LOT of information around the media and internet about US food and supplement regulations. I don’t think there is enough about the Canadian regulations. It doesn’t matter where they are produced, the importer is wholly responsible for ensuring that all products imported into Canada meet all Canadian requirements. All products imported into Canada must also have a person or company in Canada who is responsible for that product. Their Canadian contact information (company name and postal code, at least) must be listed on the product label. 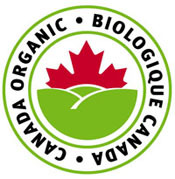 Canada’s Organic Products Regulations outline the seven principles of organic production. “Organic”, “organically grown”, “organically raised, “organically produced”, “Certified organic by (certification body)” claims are allowed if 95% of the product meets the criteria. “100% Organic”, “Certified Organic” or “Made with Organic Ingredients” claims are NOT allowed. A food labelled “Natural” has minimum standards before that term can be used. Bovine Growth Hormone was never approved for use in Canada. Canadian supplements (Natural Health Products – NHPs) are much more stringently regulated in Canada than just about anywhere else in the world. There are minimum requirements for the company to meet to get their site licence. The products themselves must meet minimum safety and efficacy requirements, as well as being manufactured under stringent conditions. There are some products approved without scientific evidence for efficacy if they meet “traditional use” criteria. Consumers/patients and health professionals can report adverse reactions (also known as side effects) to health products, including prescription and non-prescription medications, biologics, natural health products and radiopharmaceuticals, to the Canada Vigilance Program. Now tell me, did you know about these Canadian food and supplement laws? Did I leave out anything of particular interest to you? Have you ever reported a side effect to a supplement? Will you now? 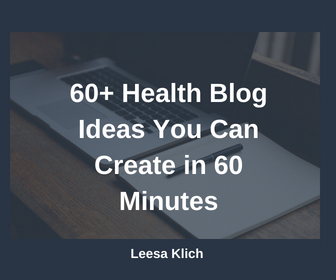 Great article – very informative without being painfully dry 🙂 Thank you, Leesa, for your research and your creative ways to share it, making this nuanced information accessible to Canadians.